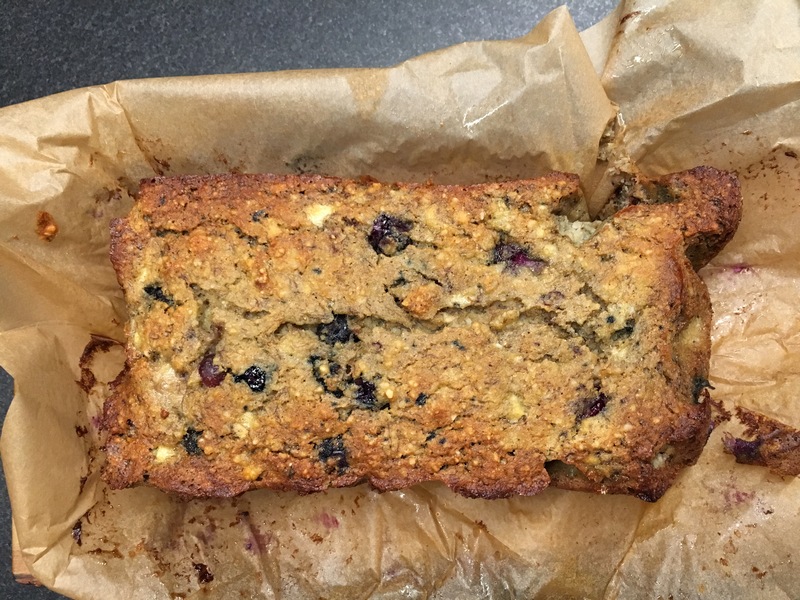 This banana bread with fresh blueberries is simply irresistible! 2. In a Vitamix or another blender puree bananas. Add the rest of the liquid ingredients. Mix. 3. Add dry ingredients, do not over mix. 4. 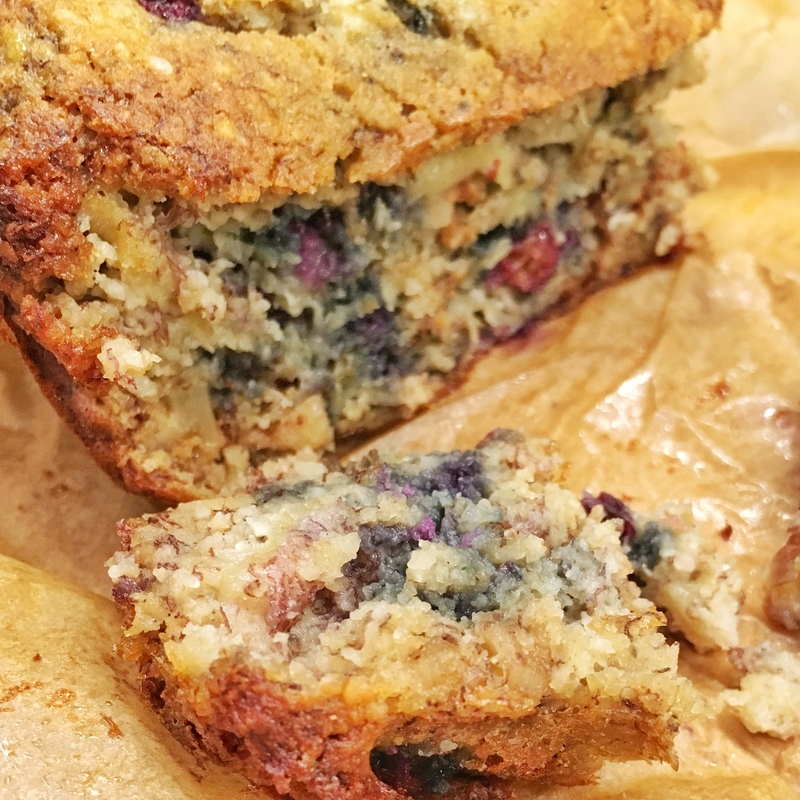 Fold in blueberries and walnuts. 5. Line loaf pan with parchment paper. Pour in the mixture. 6. Bake at 350 F until the top is golden and center done, about 60 minutes.